With a slew of portable devices all around us these days, it makes much sense to incorporate their different functionalities into as small a device as possible, not to mention having them “communicate” with one another to make life more efficient and simpler. The Withings Pulse O2 activity tracker is one such design, where it has been announced to continue from where the versatile Pulse left off. The Withings Pulse O2 would now arrive with a wristband accessory in order for users to wear it as a watch. In order to see whether you would actually need to purchase the Withings Pulse O2 or not, consider this. The Pulse O2 would feature the ability to measure the wearer’s blood oxygen level apart from keeping track of one’s heart rate, which makes this the first of its kind. There is also the updated Health Mate app that will now offer real-time coaching ability that will take all of the data from Withings devices and transform them into advice that would see some much needed physical movement happen. In order to make the Withings Pulse O2 last in the long term, while doing away with the inconvenience of single-purpose wearables, the Pulse O2 has been specially designed to be worn a variety of ways. You can place it in your pocket, clip it to your clothing, or wear it on your wrist. I suppose this is why gym clothes have gotten more and more attractive looking in recent years, since people who go there not only expect to look good, they can enhance their physical beauty with the right attire. After all, don’t the clothes make the man? 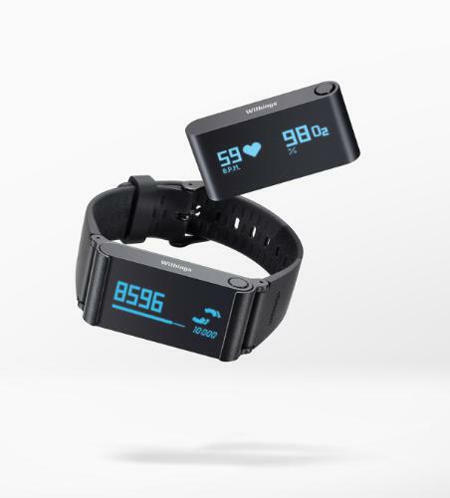 The Withings Pulse O2 can be yours for $119.95 if you’re interested.